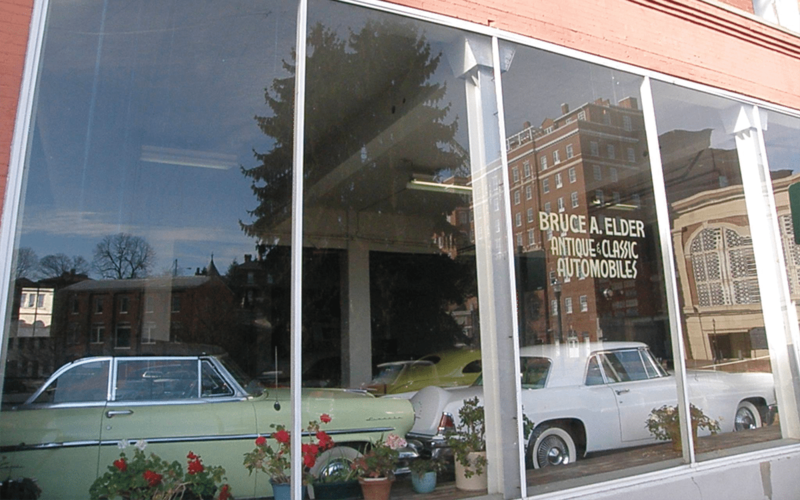 Located in the downtown historic district of Staunton, VA, Bruce A. Elder Antique And Classic Automobiles displays important automobiles from the dawn of motoring through the muscle car era. Housed in the famous Beverley Garage Building, constructed in 1911 as “The Finest Garage In The South”, visitors can tour an ever-changing collection of rare and exciting vehicles spanning nearly 100 years. Professionally guided tours are scheduled on Friday’s and Saturday’s only. Tour times are 10:30, 1:30, 3:00 and 5:00 both days. Tour cost is $5 per person, age 16 and over. Attended children are free. Club and special tours at other times can sometimes be accommodated for a minimum of 20 guests. Please call us if you are coming a significant distance, as we are sometimes called away.